Fresh Oysters in May? It's been a cold Spring here in the Pacific Northwest and there are still delicious oysters to be had. 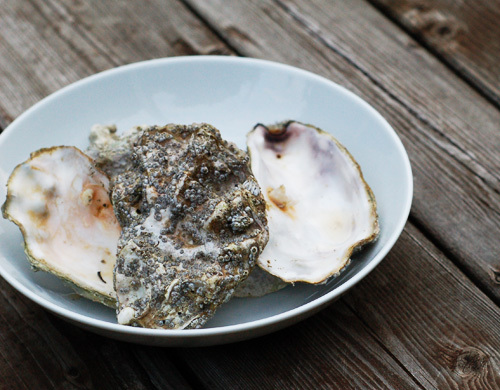 Tossed on the grill, shucked, dipped in garlic butter & drizzled with fresh lemon juice. These delicate beauties were gone before I managed to get any photos.